D. Valtchev, and I. Frankov, “Service gateway architecture for a smart home”, IEEE Magazine on Communications, Vol. 40, Issue 4, pp. 126-132, Apr. 2002. OSGi Alliance, “OSGi Service Platform Release 3”, IOS Press, 2003. 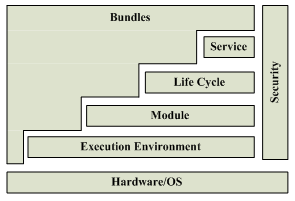 OSGi Service Platform, Core Specification r4, The OSGi Alliance, 2005, http://www.osgi.org. P. Dobrev, D. Famolari, C. Kurzke, and B.A. 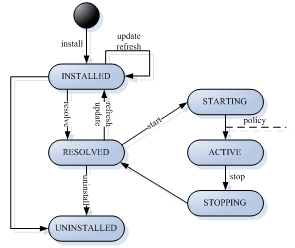 Miller, “Device and service discovery in home networks with OSGi”, IEEE Magazine on Communication, Vol. 40, Issue 8, pp. 86-92, Aug. 2002.